Ramallah, SANA/R. 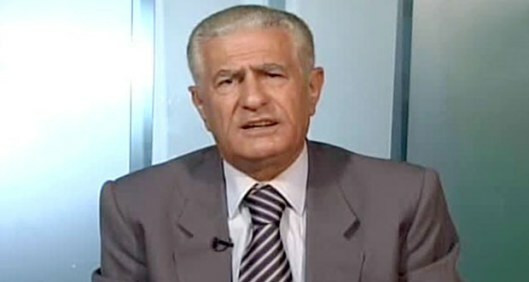 Milhem/ Barry ~ Palestinian Fateh Movement Central Committee Member Abbas Zaki stressed that Syria has been undergoing a foreign aggression launched by 80 countries, clarifying that the Movement will not stand idly when the aggression is foreign carrying the same identity of the aggression launched against Palestine in 1948. Zaki’s remarks came as response to the confusion and the contradictory statements of many Palestinian officials about the latest events in Yarmouk Camp regarding Islamic State in Iraq and Syria (ISIS) terrosists storming the Camp, as Palestinian Ma’an News Agency quoted Fattah’s official as saying Silence on the crime is treachery and paying no heed to reality of the conspiracy or being confused to whether confront aggression or not is cowardice. “This aggression launched by agents of NATO, Mossad and the US intelligence seeks to dismember the Arab Nation, kill the civilians, and destroy houses and sanctuaries”, Zaki added.